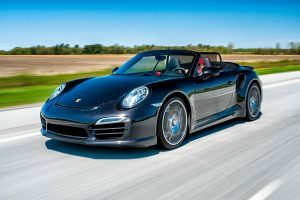 Discover the Québec province from Montréal to Charlevoix aboard 5 superb Porsches, while staying in luxurious Germain hotels! Originally thought to car enthusiasts and high-level accommodation, this trip is also for those looking for a different Xperience, a trip that clicks, offering various activities scattered thrills in a comfortable, safe and all inclusive environment. 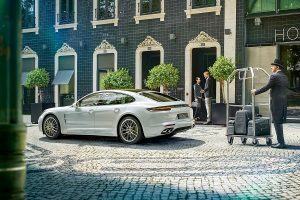 In addition to having the opportunity to drive several models of Porsches, travelers can indeed participate in various quality activities, including various enjoyable visits, gourmet meals and more, and be charmed by the legendary atmosphere of three boutique hotels of Groupe Germain. Whatever your agenda, we have a dream week for you. See the itinerary below, go behind the wheel of your Porsche and enjoy a wonderful stay in the most beautiful regions and hotels of Québec! You will drive several different Porsches. Baggage transportation performed by a separate vehicle. Porsches, fuel, auto insurance and road service included. Groups of 10 people maximum, 2 by car. Reserved for people 18 years old and over. To add activities before and / or after this Tour. Montréal, Hotel Le Germain, chambre Classique. Welcome to the Reception Desk. The reservation in your name is made and settled. Dinner and evening on your own. 09:00 : meeting with the group, hotel lobby. Day 3 : Monday, Montréal and Estrie (Eastern townships). Arrival at Baie St Paul and check-in at Hotel Germain. Thank you for sharing your experience with us, with your parents, with your friends! On the next tab, see trips that might interest you to complete this one! 7,995. CA$ per person, plus applicable taxes, double occupancy. a part of it may be refundable to non-Canadian tourists. Other Tours more or less sophisticated can be organized on request. 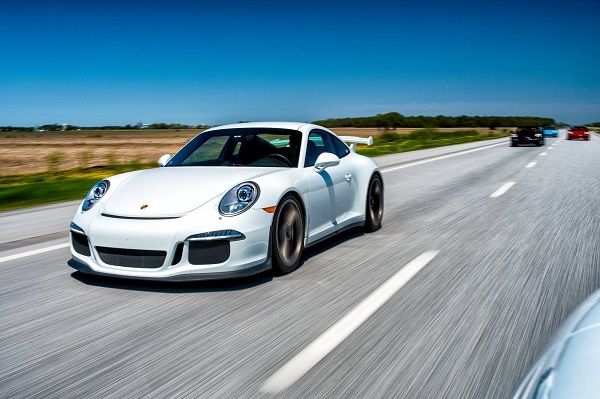 Porsche 911 GT3, 3.8 NA redlinenow at 9000 rpm, one of the best handling cars on road, white on black leather. Our white beauty comes loaded with PDK dual clutch transmission, navigation system, 20″ Carrera rims and Bose Sounds system. 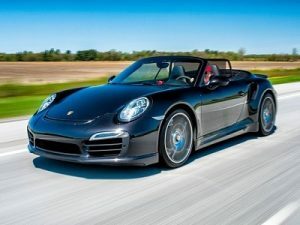 The Turbo S, what can we say more, this is by far the pinnacle of Porsche performance; true perfection in every way, this Porsche 911 Turbo S will make you want to own a Porsche of your own! Over 50 years of 911 combine to offer you the best and nicest cars on the road! Our black on black on black 911 Turbo has it all, the looks that set it apart from the rest and the power to take on even the slickest of sports cars. 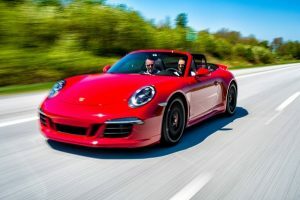 Porsche 911 GTS, 3.8 NA redlinenow at 9000 rpm, one of the best handling cars on road, red on black alcantara with red stitching. Our beauty comes loaded with PDK dual clutch transmission, navigation system, 20″ Carrera rims and Bose Sounds system. Porsche 911 Carrera S Cabriolet (991.2 model), Blue exterior on black leather, The latest and greatest Porsche 911 to date. Our Miami blue beauty comes loaded with PDK transmission, sport chrono package, full leather package, full led headlights, 20″ RS spyder design rims and Bose Sounds system. Outstanding 4 door 911!, the best of all worlds, Porsche’s Panamera combines sports-car handling with German engineering at its finest. you get the perfect 4 door, 4 seater saloon. Where others have tried to no avail, Porsche has done with style and finesse, a true 4 seat with all the feature comforts of the Cayenne. It may have taken 20 years to have this car approved by Porsche, but it was worth the wait! 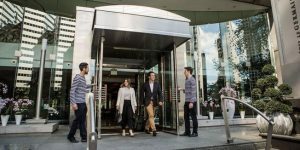 At Le Germain Hotel Montreal everything is designed for your well-being, from the lobby to the 101 hotel rooms and suites where furnishings and amenities have been carefully selected to make your stay not only comfortable, but unforgettable. 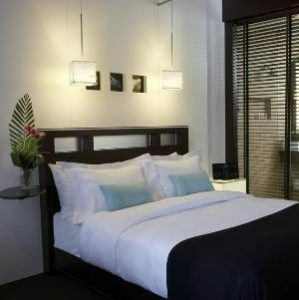 Located in downtown Montreal, Le Germain Hotel Montreal is known for its elegance, comfort and quality. Here, it’s all in the details—down to the very last one. That is how they make sure you feel right at home, only better. Much better. At Le Germain Hotel Quebec, you’ll stay in a century-old building in Quebec City’s Old Port. Once named Germain-Dominion, it retains all the cachet and contagious charm of this grand era. A guide accompanies the group throughout the trip. A Porsche will be awarded initially, but you can exchange them between participants along the way; to be discussed with the tour guide. Do not worry about your luggage. They are transported by a separate vehicle. The current formula provides 10 persons groups, 2 car by, but this may vary somewhat depending on demand. Every driver of a car must have a valid driver’s license and meet the conditions of auto insurance. For reasons of insurance and security, people under 18 are not accepted in the Tour. We will then contact you to arrange your payment. June 7, 2019June 14, 2019June 21, 2019June 28, 2019July 5, 2019July 12, 2019July 19, 2019July 26, 2019August 2, 2019August 9, 2019August 16, 2019August 23, 2019August 30, 2019September 6, 2019September 13, 2019September 20, 2019September 27, 2019October 4, 2019Other Tours can be organized on request. Would you like to add insurance for car rental? Contact us by phone toll free!